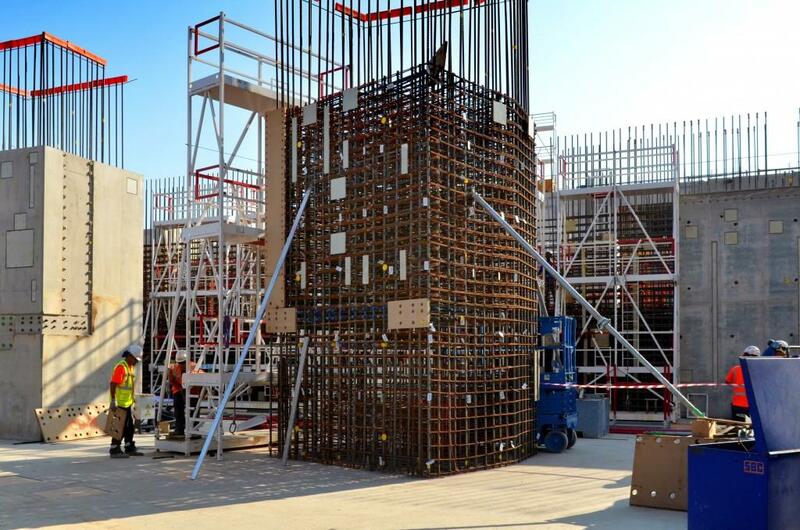 Eighteen massive columns—that will rise 30 metres when completed—will provide structural support to the different levels of the Tokamak Complex. Six among them will have the additional role of supporting the assembly crane rails. 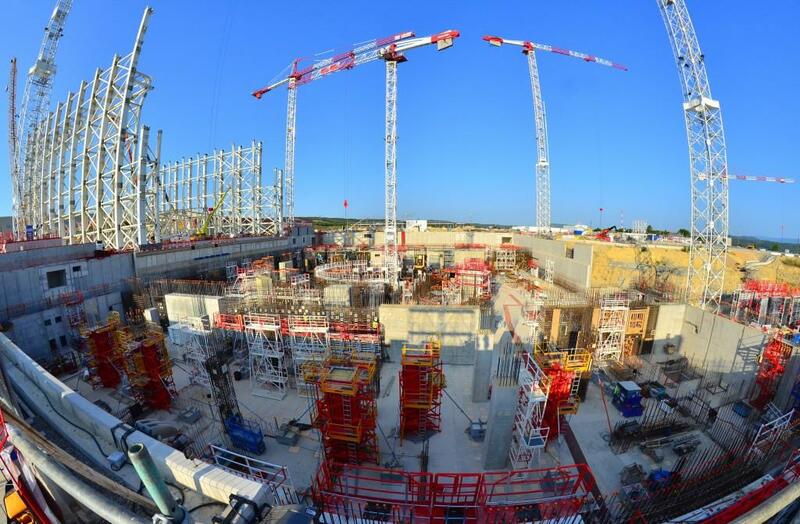 Early one summer morning, the light begins to illuminate the Tokamak Pit where approximately 150 workers are active. 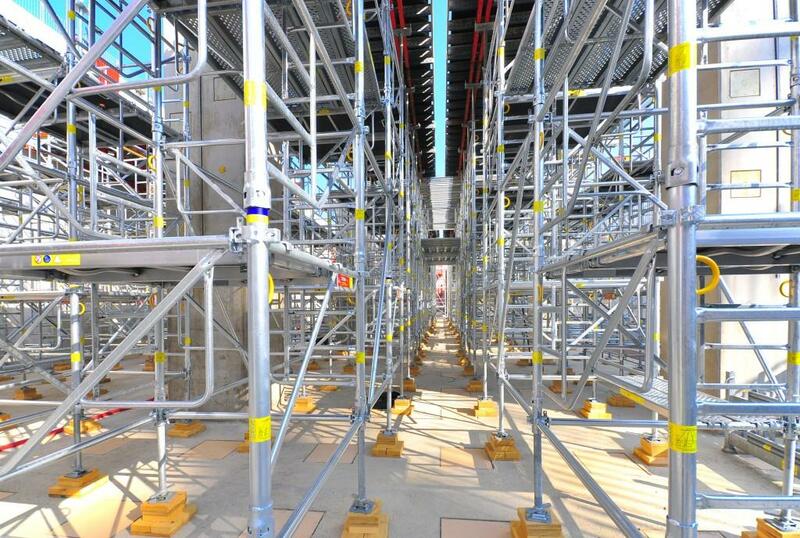 From 400 today, the number of workers on the platform will reach 1,000 by the end of the year. 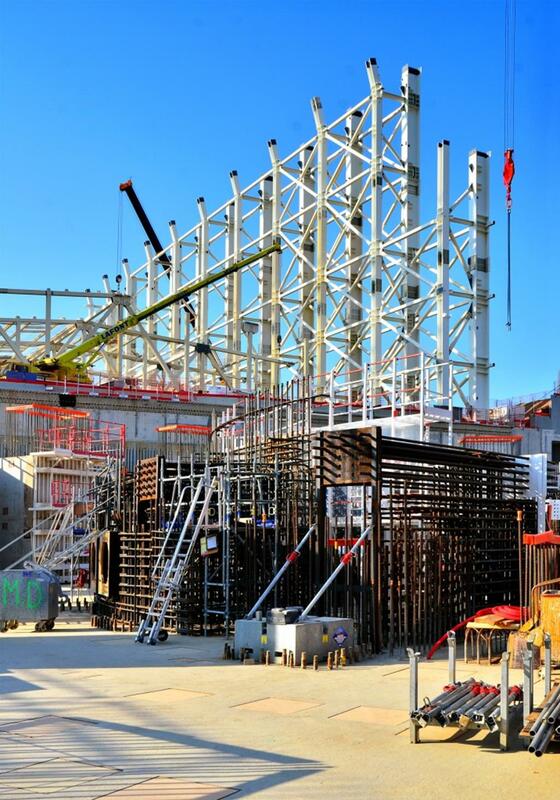 The heavy rebar for the ITER bioshield (3.2-metres of concrete that will surround the cryostat) and the tall white pillars of the Assembly Hall make it look like we are building a steel fortress. The walls between the massive columns will host the "lower pipe chase" and be made of special, high-density concrete (3.9 tonnes per cubic metre as compared to 2.5 tonnes for regular concrete). Fabricating the concrete in an on-site facility will require 6,000 tonnes of magnetite gravel that will be shipped from Kiruna, in Swedish Lapland. 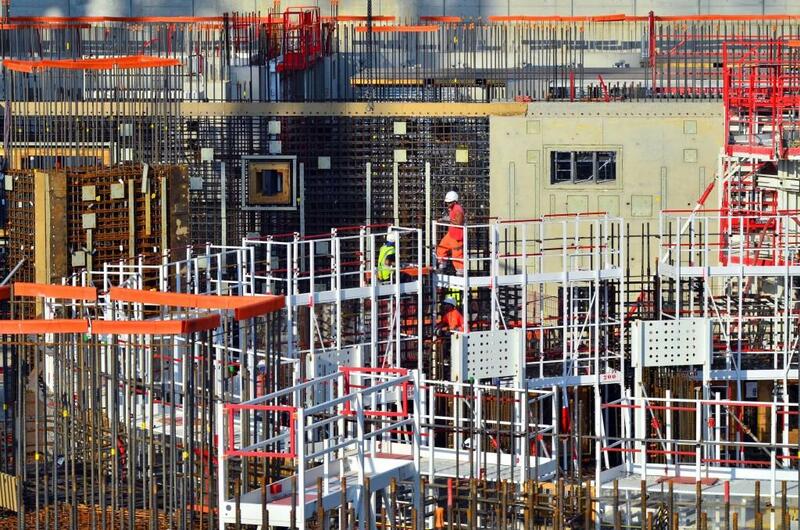 As the walls of the Tokamak Complex rise, a large circle of basemat will be reserved in the centre—the theatre for future Tokamak assembly operations. 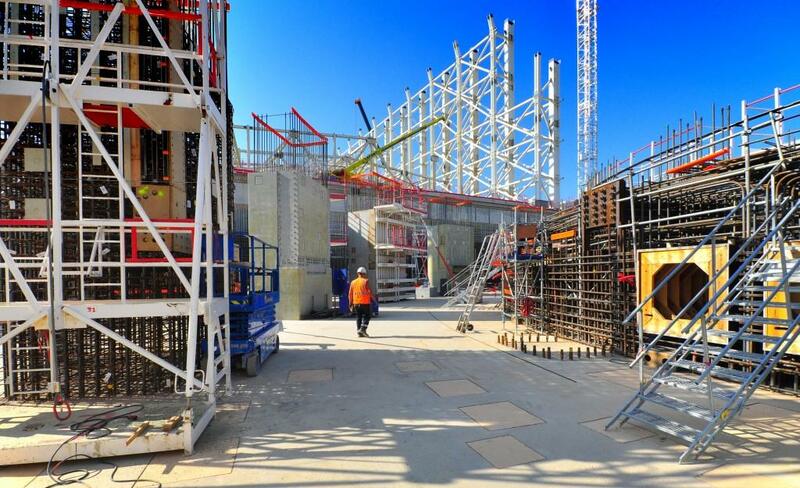 In the western area of the Tokamak Pit, scaffolding is in place to support the formwork for the B1 level of the Diagnostics Building. Segment after segment, concrete pouring operations should begin in September.